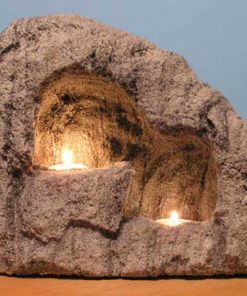 First created by Charles Kern in 2005, these really cool pumice stone candle holders can go inside or outside and they are all rubber bumpered on the bottom to help protect your furniture. 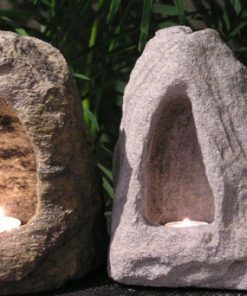 They are very weather resistant because the are all hand crafted from Volcanic Rock (pumice). 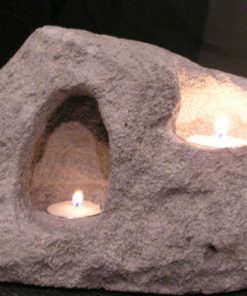 The candles are shielded on three sides. 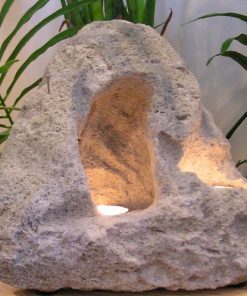 Together with the customized shape of the cave this helps to block out the wind on a breezy day. 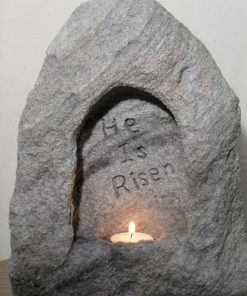 And amazingly the pumice does not get hot from the tea light candle. 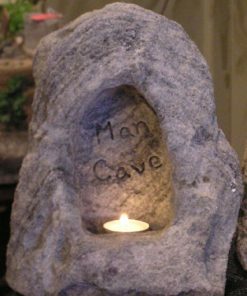 So whether it is day or night, inside on your mantle, on your deck or on your desk, our Cave Candle® holders are very unique. What a great conversation piece. Your friends will not stop talking about them. Delivery time care vary depending on the season. Usually within 2 to 3 weeks.